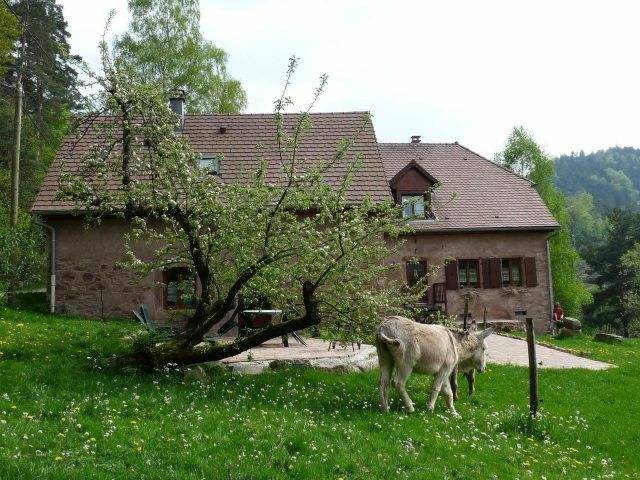 In the Earth of Alsace and of nature, you’re welcome in a outbuilding of a former 18th century farm . This typical house with pink sandstone , which housed the bread-oven and the distillery of the farm opened its doors to discover Alsace. 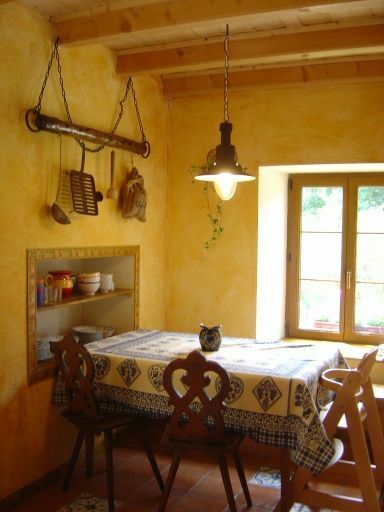 Warm, cosy, intimate could be the qualifiers of « La Fermette » fit out with care. 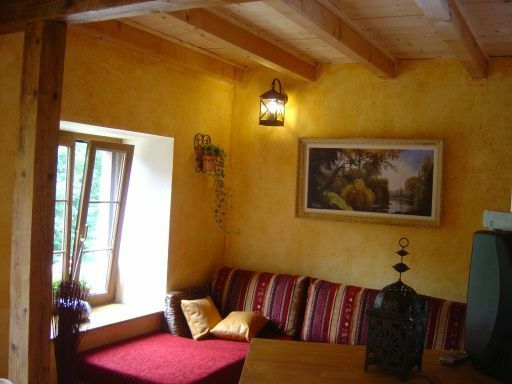 We invite you to discover its environment, its atmosphère and its comfort . 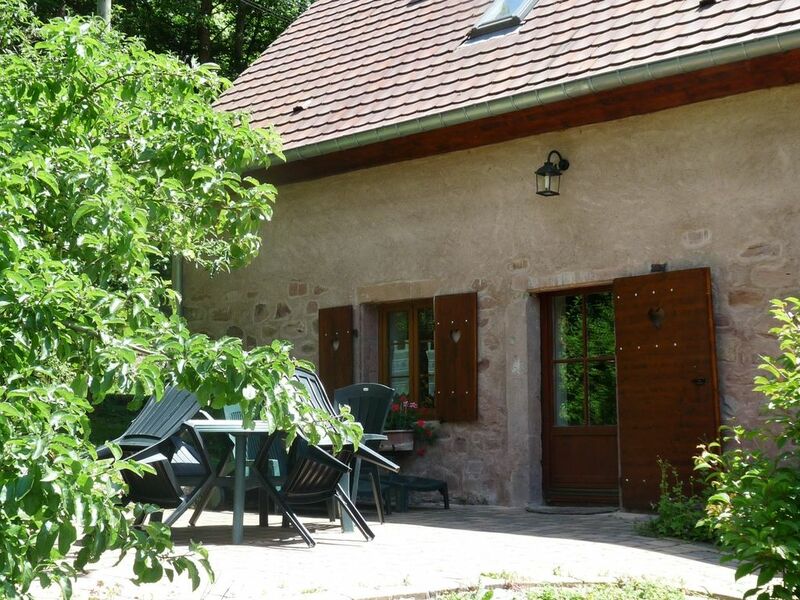 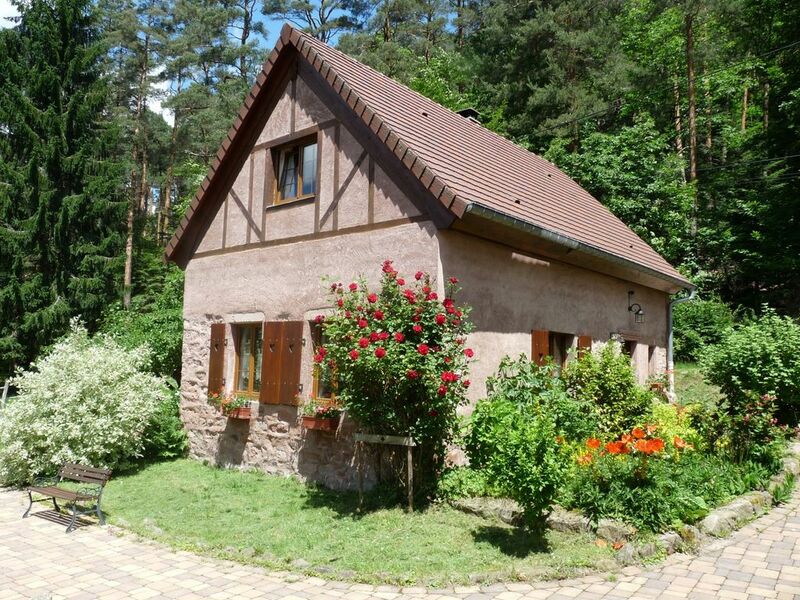 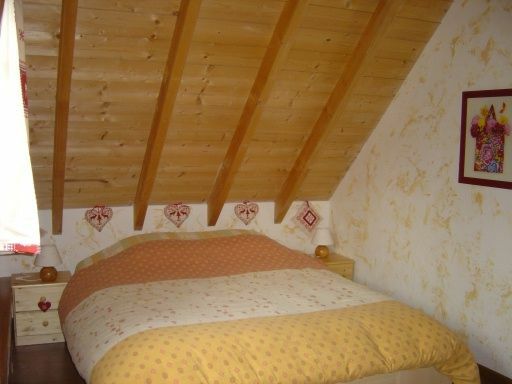 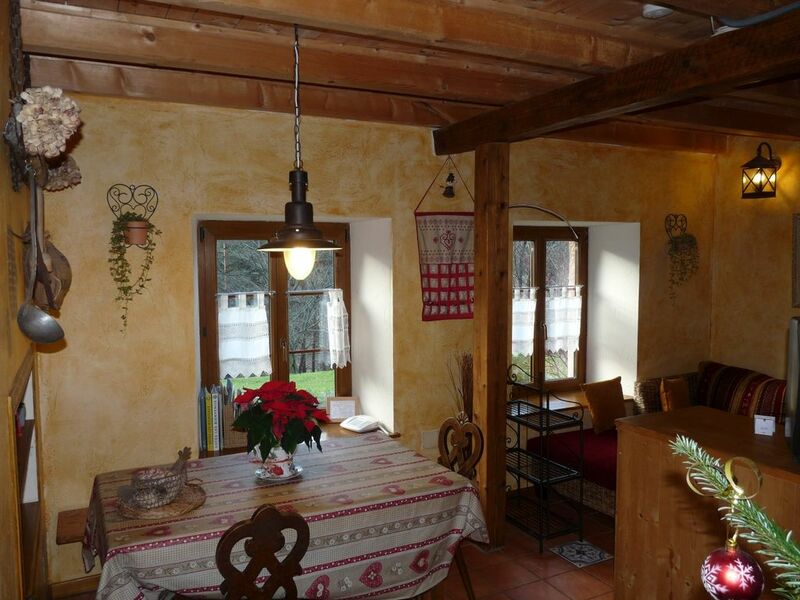 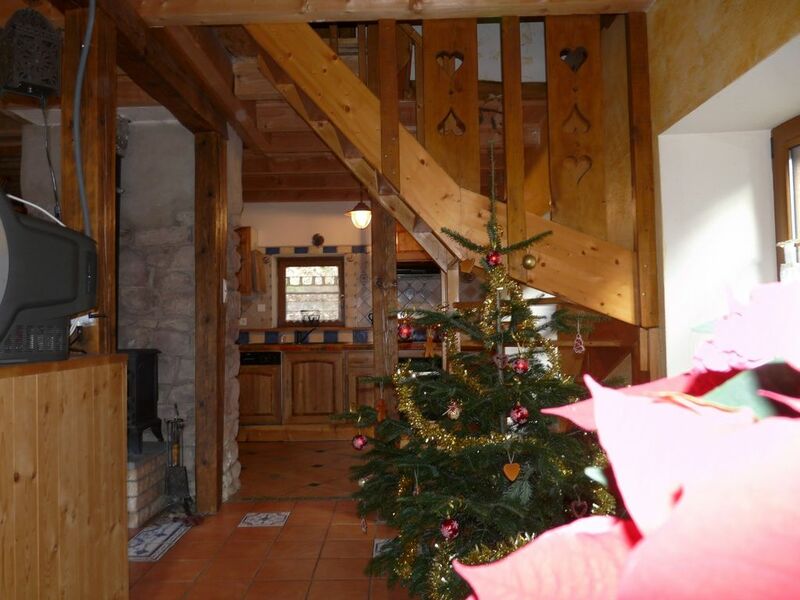 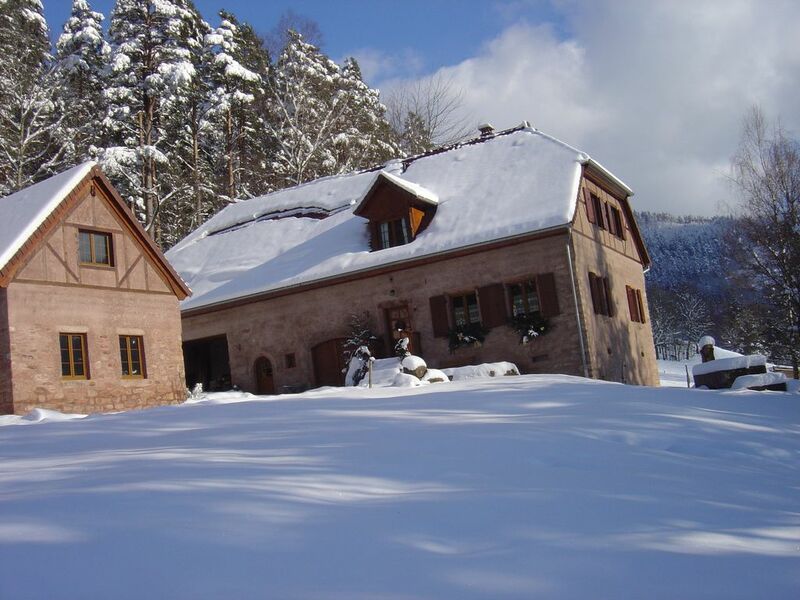 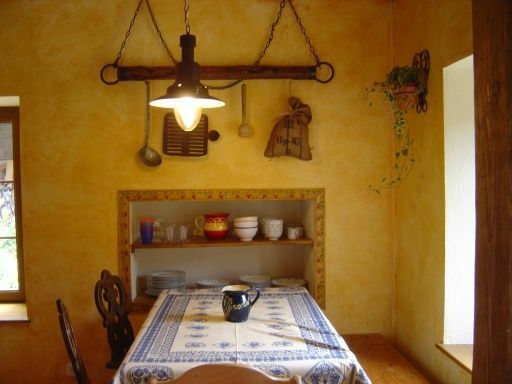 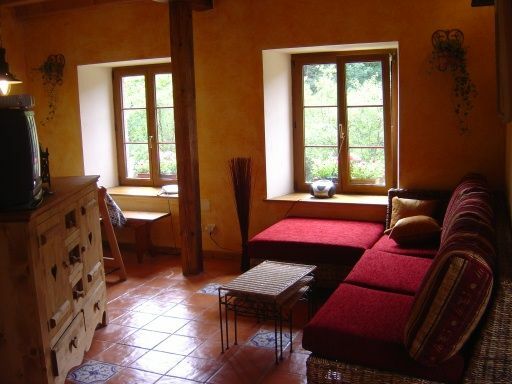 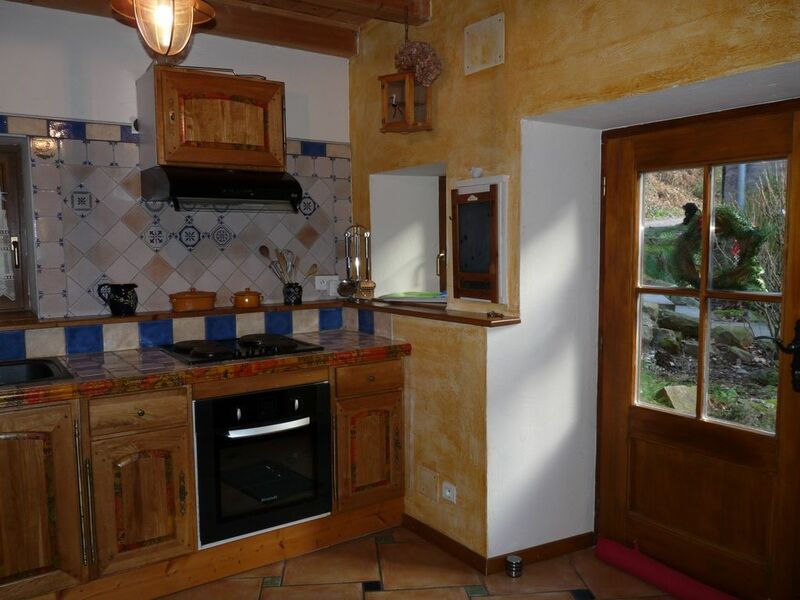 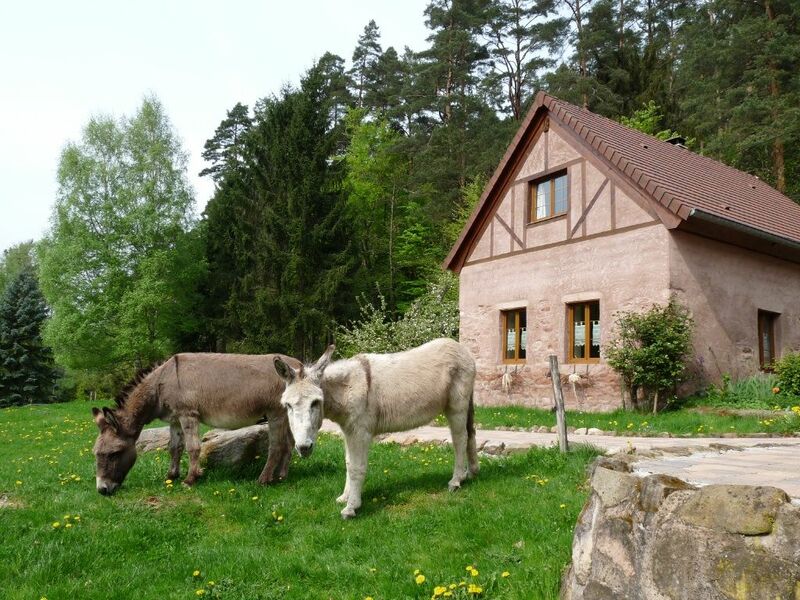 Between Strasbourg and Colmar, in the green Villé valley , the fermette will be our cosy nest . 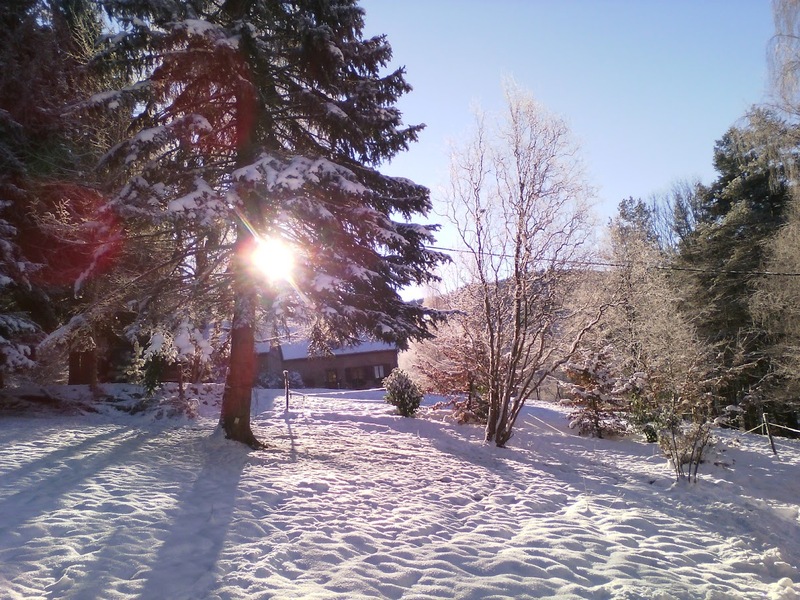 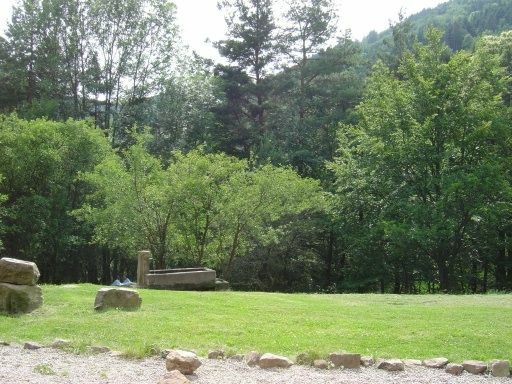 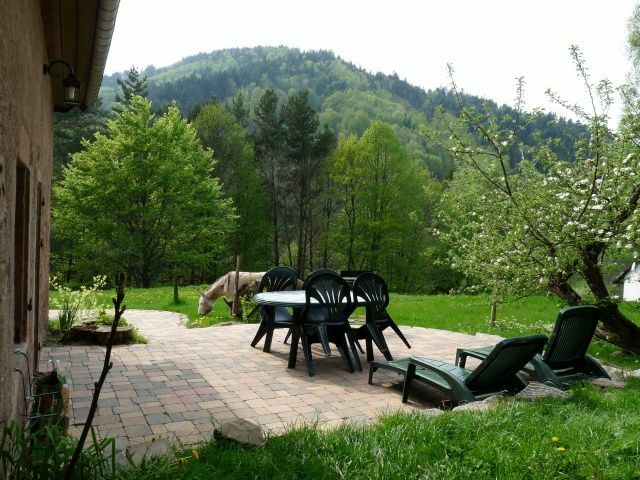 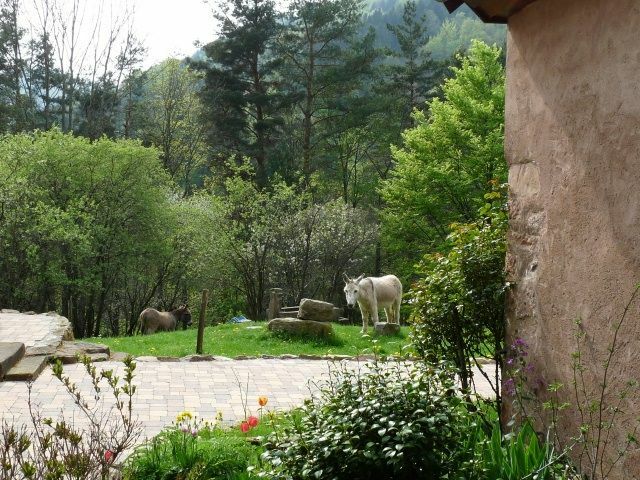 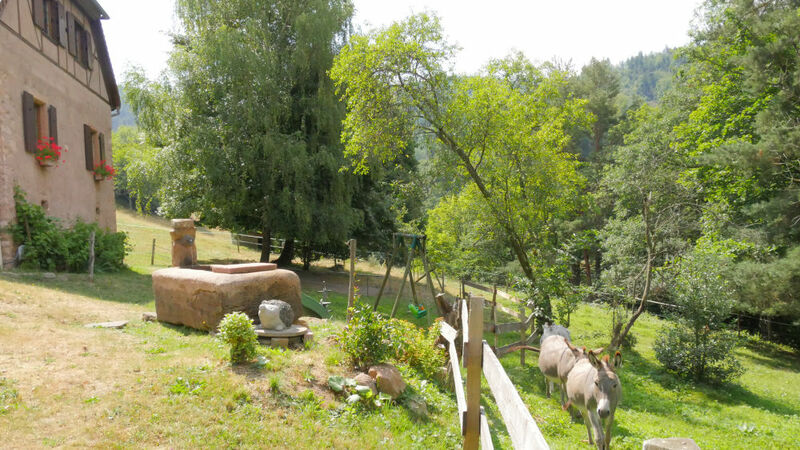 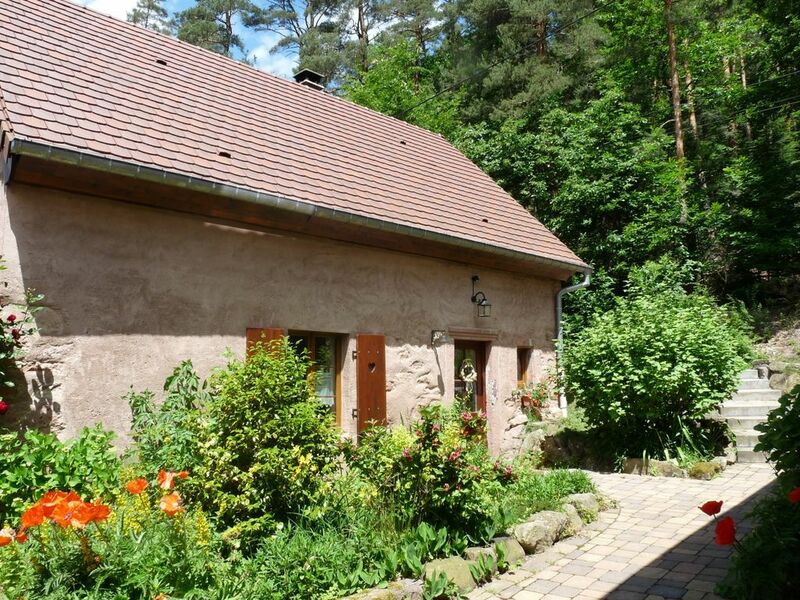 On the edge of the regional park of the « Ballon des Vosges » , you will stay in the hearth of Alsace . 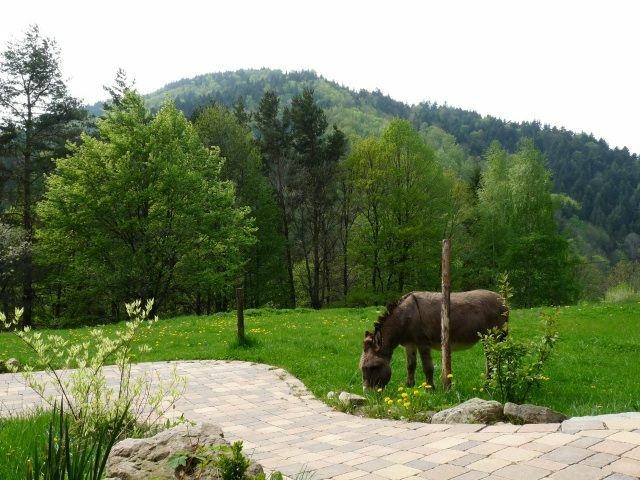 The quiet countryside and the everchanging scenery is the environment we live in . 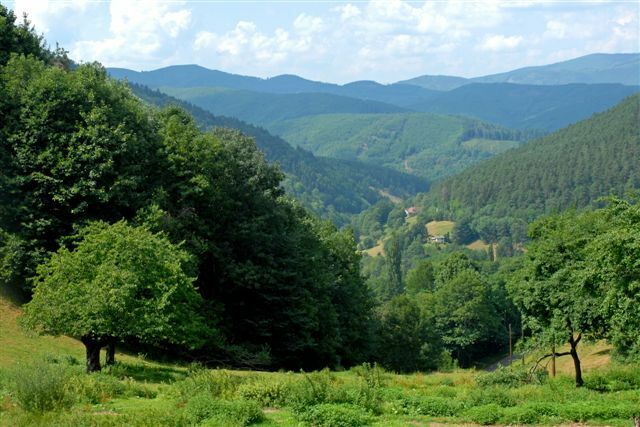 Within 15km, the wine route as well as the Meccas of history, gastronomy and culture are awaiting you for thrilling days out . 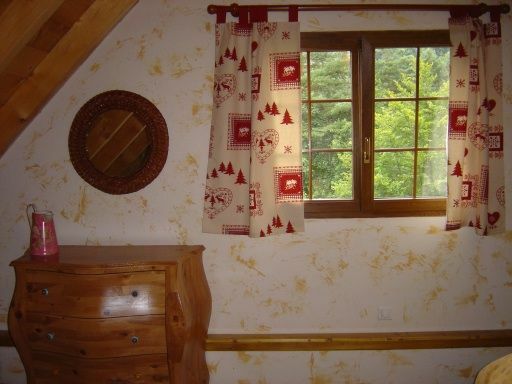 For convenience, you will find in the village of Fouchy a good backery . 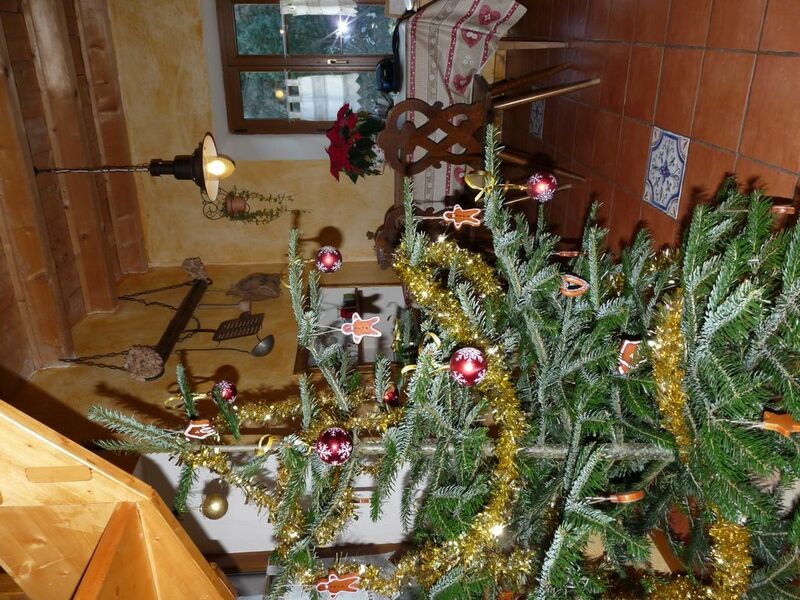 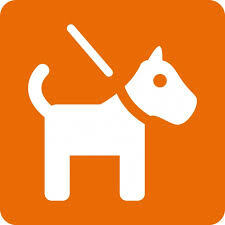 In Villé ( 5km) , you will find all the local small shops and supermarkets . 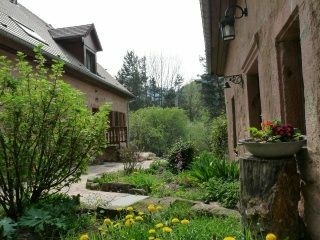 Located outside the village (800m away, down a forest track), « la fermette » will plunge you into a world of greenery . 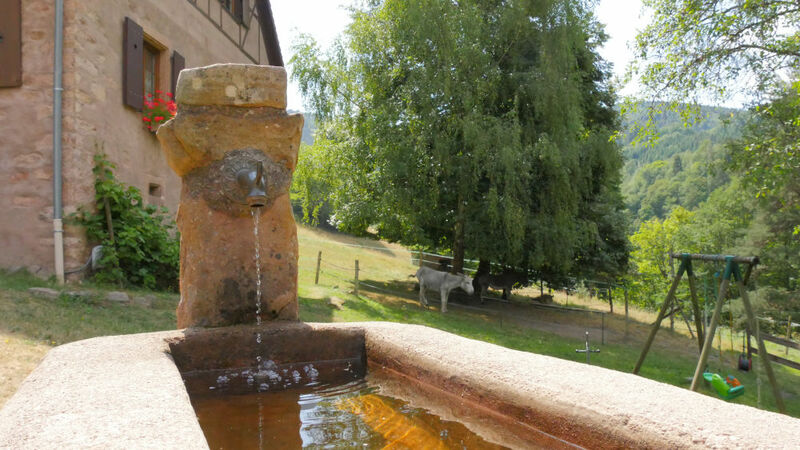 You will be surrounded by the sounds of birds singing and water flowing from the fountain, while joying forgotten scents . 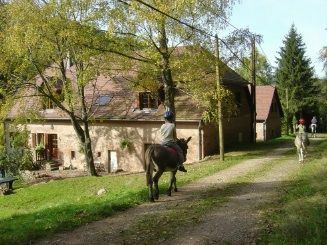 Our donkeys, ponies and horses sometimes liven up the neighbouring prairies by walking around . 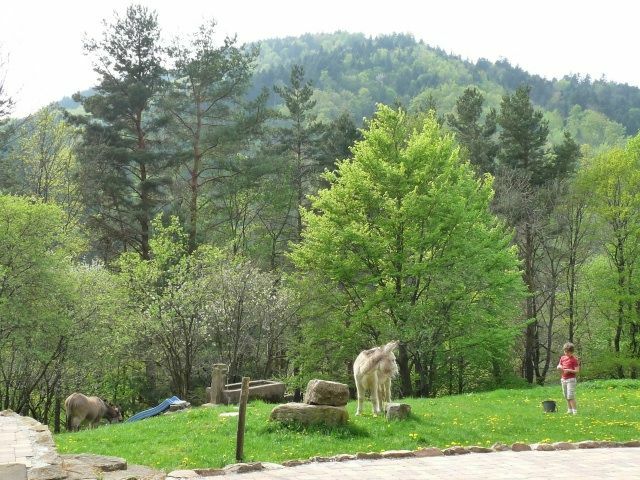 If they don’t, it’s not unusual to come across the wild « inhabitants » of the forest . 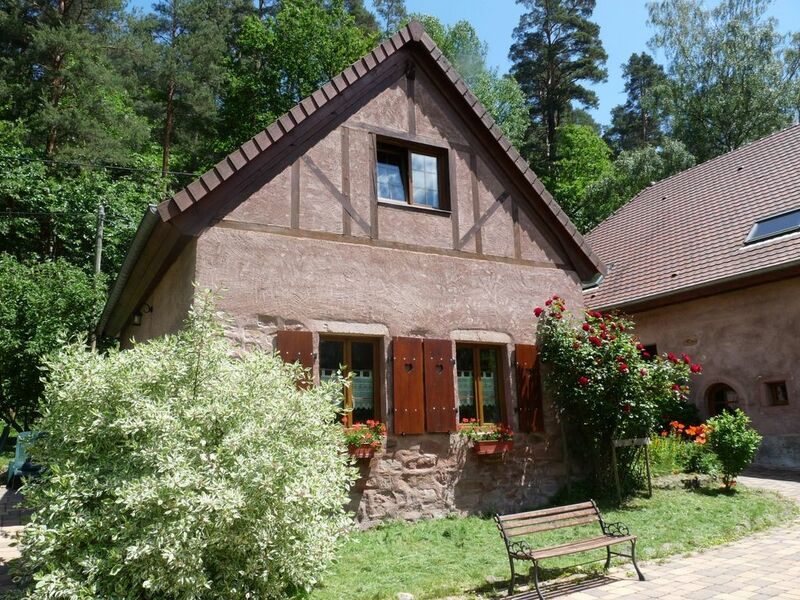 You stay in the care of a former farmhouse, built of red sandstone in 1880. 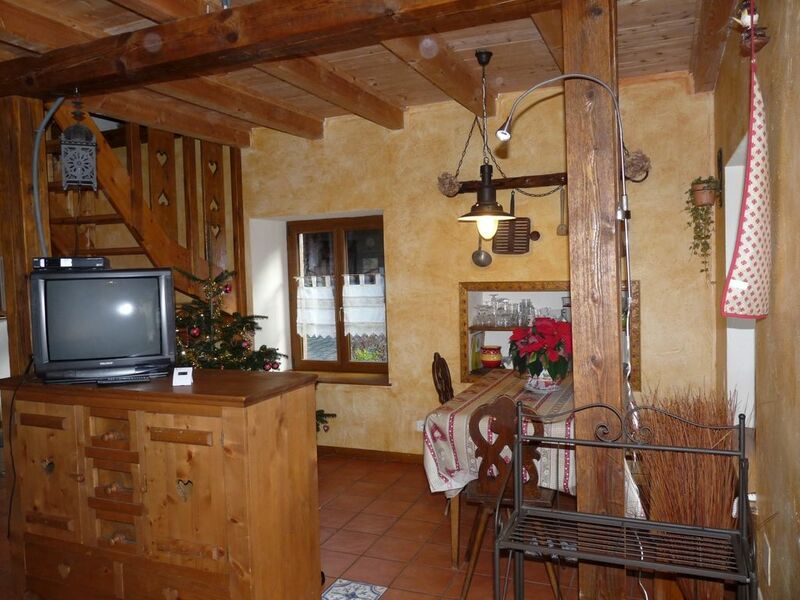 Freestones, wainscot and exposed beams emphasize the genuine spirit of this place . 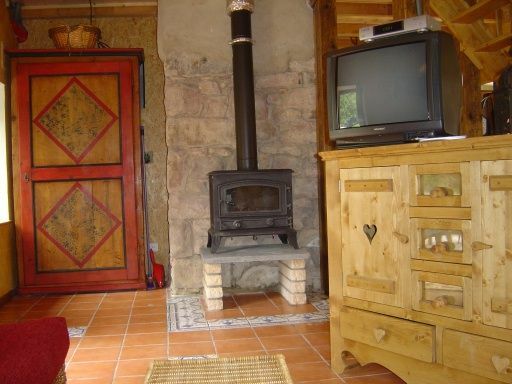 The country furniture und the heat of the wood stove underlines this spirit, while giving you the comfort of modern facilities + internet access . 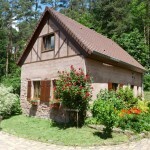 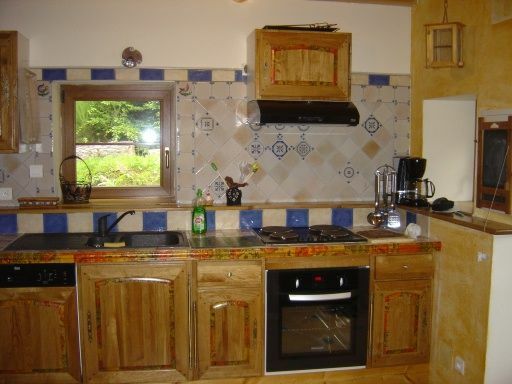 90 m2 hosts easily 4 people with 2 rooms, a bathroom and separate toilet on the floor. 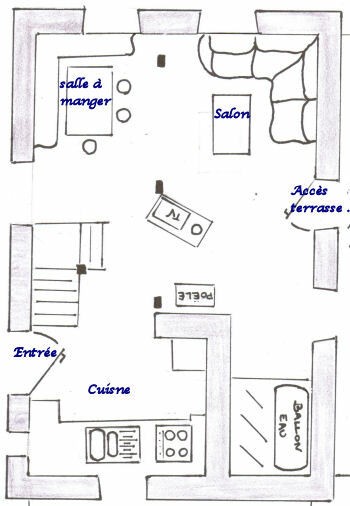 Lounge – dining room – kitchen are on the ground floor. 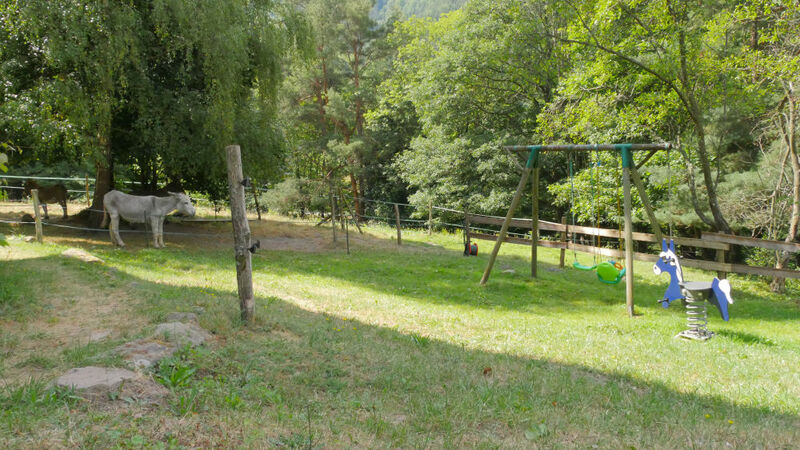 Equipment for toddlers on request : cot – high chair – baby bathtub – gate for the stairs . 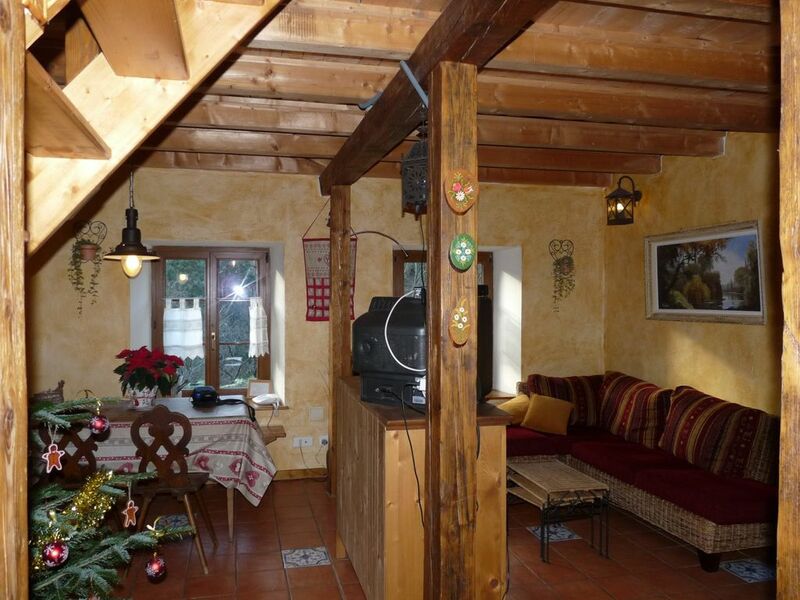 Space open from 45m2 declines on the ground flor . 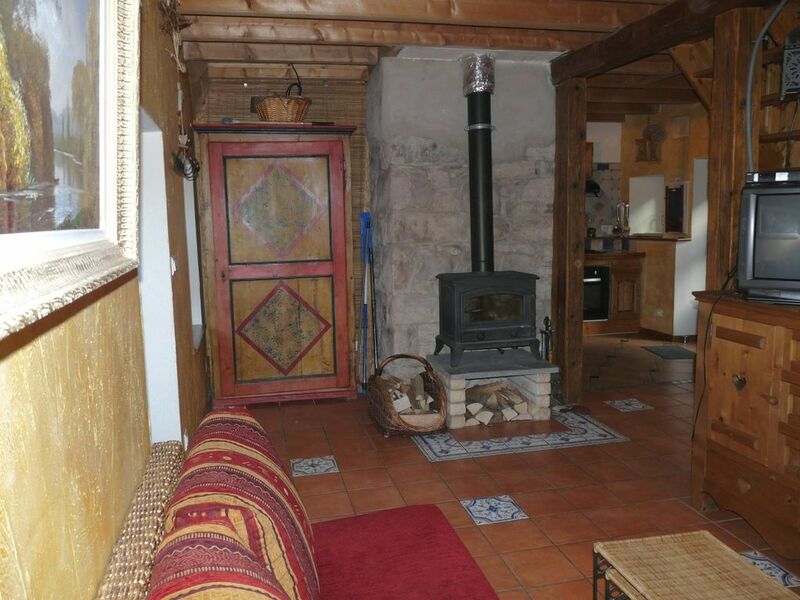 One being the main entrance the other access to the terrace . 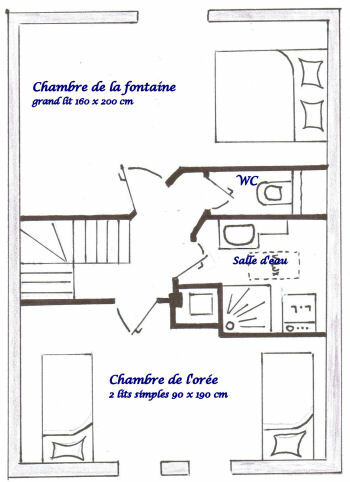 2 rooms are spread on the floor . 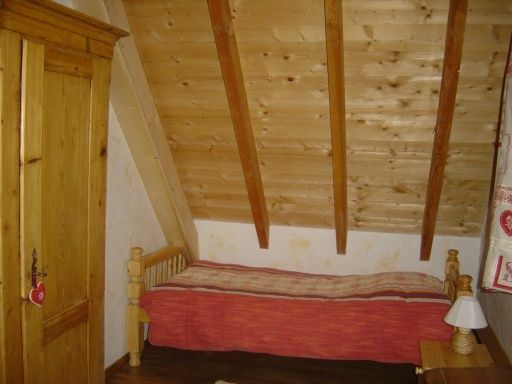 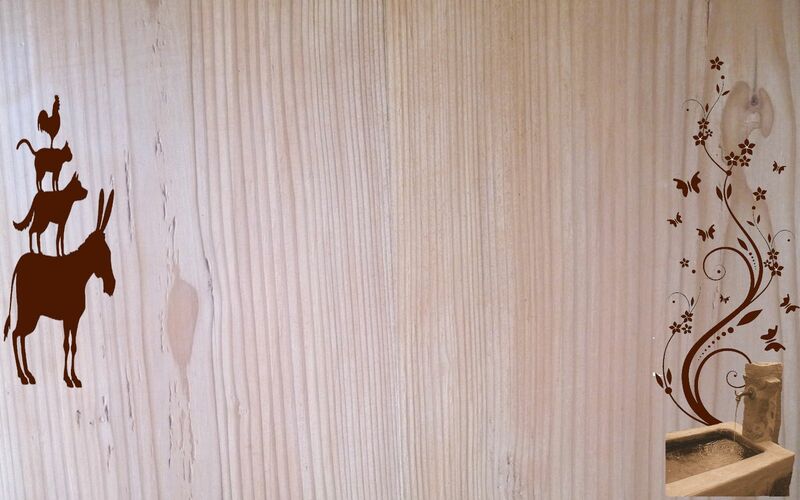 cot – high chair – baby bathtub – gate for the stairs .